Through our highly trained and qualified staff, we offer our customers after sales service in the broadest sense of the word. We offer maintenance check-up programs, spare parts, reconditioning services and customized service contracts, so that reliability and availability of Vekoma coasters and attractions are maintained to the highest level, providing our customers the best return on their investments. Upon request we also provide ride specific training on site for our customer’s engineers and operators. Our team of experienced staff will be able to assist you in making a suitable choice for your attractions and developments and offers a 24/7 emergency service. 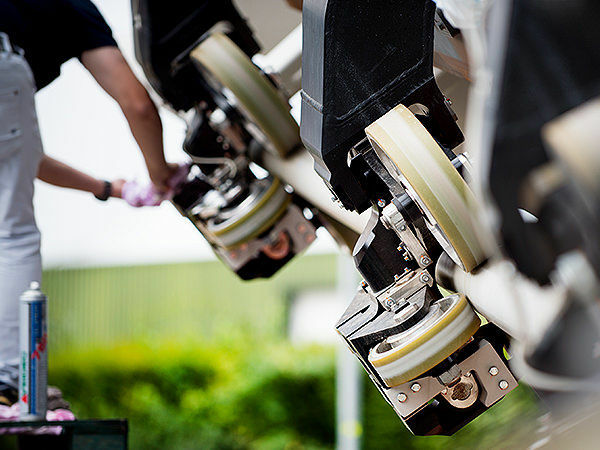 Vekoma Rides Parts & Services BV supports your maintenance staff and operators in such a way that the attractions operate in a reliable and safe manner. High quality parts are very important and therefore it is strongly recommended to purchase and use original parts and maintain your rides in cooperation with Vekoma Rides. We can also assist you with shipping of the parts. 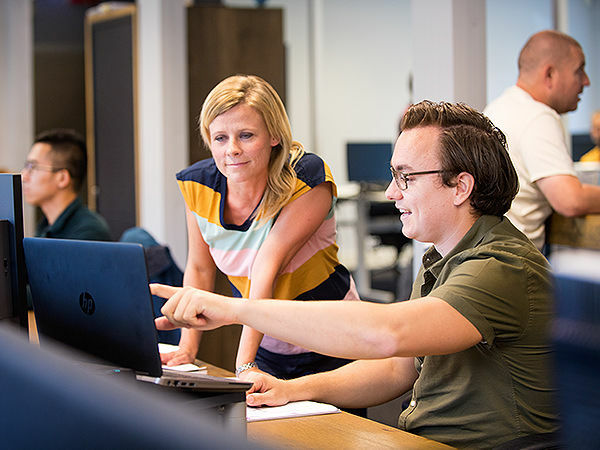 The warehouse in the Netherlands was recently expanded and equipped with new systems to increase the efficiency and distribution of parts in stock. Moreover, in accordance with the latest rules and regulations in regard to air cargo security awareness, our warehouse has a fully secured area for the storage of the airfreight packages. Providing our Customer with the best services for their Vekoma Rides attractions is our main goal. Our team of Customer Service Engineers can provide you with technical support for all existing rides. Moreover, we have in-house development engineering, responsible for setting up tests and research to improve the existing ride systems in operation where and if needed. Adequate annual maintenance is vital to keep your attraction in an excellent and above all safe operating condition. Our experienced team of Field Service Engineers is available to assist you with this. The annual maintenance can be done either on site in close cooperation with your team or alternatively you can opt to send your trains to our facilities in the Netherlands and have Vekoma perform the complete annual maintenance for you. Our qualified and experienced field service engineers based in the Netherlands and China, visit parks world-wide to perform ride inspections. These inspections are performed in close cooperation with our customers and our aim is to support your team and provide advice about the condition and status of the ride. Based on our inspection report, we can supply the technical services and spare parts necessary to keep your ride in perfect operating condition. In addition to this we have our own qualified Testing & Commissioning Engineers, to bring your ride back in operation after an upgrade, modification or relocation. When it comes to education and training we provide on-site training for maintenance and safety and bring your staff up to date on the latest developments and standards. These training sessions are very well received by the parks and can be tailored to your wishes and schedule. Being familiar with our coasters and attractions is an important factor in ride relocation projects. Our staff has coordinated numerous ride relocations for many customers worldwide. We offer support in these projects from A to Z; aspects such as safety, repairs and modifications, techniques and training are very important in conducting these projects. Our movable project containers can easily be shipped to practically every location worldwide and are typically used for larger projects. These containers are equipped with the most up-to-date devices, tools and materials providing easy and convenient access to everything we need on site to service your project. In order to improve the durability of the coaster and ride comfort for your guests, we also offer track analysis services for existing rides. For this we use the latest techniques by means of 3D-measurements and G-force measurements. After analysis of these measurement results, we can determine whether modifications are recommended and can replace specific sections of the track to make the ride smoother to increase the ride comfort for your guests. We offer reconditioning services for your train or specific parts of your train. Our services will be performed according to the latest rules and regulations and in accordance to the Owner’s Manual of the ride. We can provide services in relation to dismantling, sandblasting, cleaning, visual checks, painting, NDT examinations, assembly and any other adjustment needed. All services can be executed at our fully equipped facilities in Vlodrop (the Netherlands) or on request on site. Goal is to provide completely reconditioned train or parts of your train to ensure a perfect operating condition again. Of course we can be consulted for any kind of upgrade you wish for your existing ride. Think about new trains with improved restraint system, which will give your guests a completely different ride experience. Our MK1212 trains and New Design Suspended Seats have been implemented at many parks and with very good results and pleased customers. Moreover, we offer magnetic brake systems, new ride control systems and AS-I systems for existing attractions. Interested in how the new train systems would feel and perform on your ride? VRP&S has completely functional test coaches available which can be easily installed on your existing train.